Meet Dan Keating of Newport Polo. 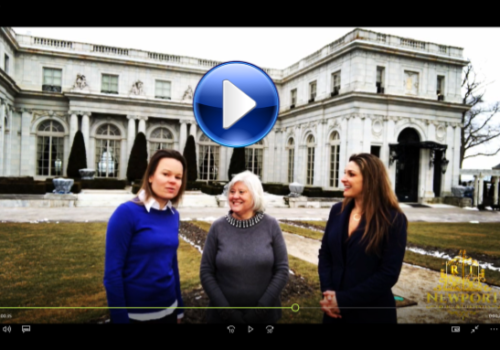 Get the real story of this historical Newport sport and how Dan’s passion for polo became his life. 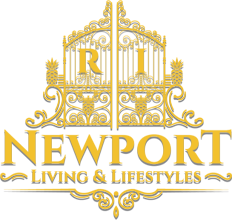 Welcome to Newport Living and Lifestyles. I am Christon and I am with Dan Keating of Newport Polo. Hi Christon. Hi, thank you for joining us today. The big question that everybody would like to know is, where did Newport Polo begin and what is the history? Newport Polo began in 1875 when James Gordon Bennett brought Polo to The United States courtesy of a member of the British Army, Captain Candy. They had a dinner where they had a box car load of Texas ranch horses brought up (Texas !) and they started the first polo game! Ten years later, they invited the British for the first international match. That is kind of the inspiration of the modern Newport Polo. That was really significant because countries did not compete with each other in sports at that time and that predated the resurrection of the Olympics. Was Polo invented in England? It was not, it was invented in India, in the early 1800, although there is evidence of it being played in China about 800 years ago and central Asia as much as 2500 years ago, but modern polo comes from India and the British were the occupying army in India at the time and they immediately adopted the sport, gave it the rules and exported it around the world. How did you get involved? I used to participate in a sport called the Luge fairly seriously in my early 20’s and there is not a lot of sports for people out of school, so I took a polo lesson and immediately became addicted and the rest is history so to speak! How do you feel about the person who introduced you to polo? I still don’t forgive him! Well it is your entire lifestyle, morning, noon and night, so I can understand that! Tell us what is to come for the upcoming Polo season? We have eight international matches and eight city series matches and a few Newport Cup games as well. Tell us how the polo ponies are cared for. Polo ponies are usually thoroughbreds and we get our off of the race track. They are re-purposed thoroughbreds and some of them come from Argentina and many players have horses that were raised and trained in Argentina and brought by airplane to The United States. They have a very strict program, kind of like any athlete. They are walked in the morning, they have special calisthenics in the afternoon, practice games three days a week and then the Saturday match is their highlight of their week! I am sure that keeps you guys fit as well! We try! If somebody wants to come on a modest budget or an extravagant budget, what does that look like? Admission is very simple, it is $15 for adults and children (under 15) are free so that is kind of a bargain, that gets you into the general admission area where you can have a picnic and bring your own beverages and food or you can get a seat in the V.I.P. lounge and sit in the pavilion with a white table cloth table and have some champagne and food and shelter (if you want shelter, some people love being outside in the sunshine! It ranges, some people throw some very extravagant parties and some people want to go very simple. Have you had a wedding here? We have had a wedding here! My sister was married here and our announcer’s daughter was married here. O wow! I bet it is beautiful! What can people bring to polo? People can bring their own beverages, dog on a leash if they are social and they can bring their children, if they are social. They don’t have to be on leash! Above all they must bring a good attitude! ( O, I love that! ) and be prepared to have a fun day! No negative attitudes! That’s a big NO NO! No negative attitudes! All in high spirits. You guys have an upcoming Polo Gala? Yes we do, it is the highlight of the season. This year we are hosting the Moroccan team, they will be flying in from Morocco and the nonprofit is Save the Bay. So do they have an outfit for you? My traditional outfit is black tie but the rumor is that there is something is coming Morocco. He might sport a fez! The fez I don’t mind so much. Black tie is classic and it is a black tie affair. If somebody wanted to purchase tickets online and learn more about your Polo, where do they go? The website at NPTPOLO.com is pretty inclusive, there is a lot of information on the website in terms of tickets pricing, how to dress for polo and what you might expect in terms of time and what game might be coming up. There is also some historical things there with matches that have been played in the past, so you can get a flavor for that if you want. SO, don’t wear high heels? High heels are probably not the right thing, we are on grass. Everybody loves our version of the seventh inning stretch where you get to go out onto the field at half time and tread in the divots. The grass does not need to be aerated? No… The horses take care of that, the ladies will be safer in flats or wedges. Pants, dresses, sweater, bow tie, blue blazers, casual Smiles, it all works. Is there anything else you would like to add today? No, but just thank you for having me on and we look forward to your other broadcasts. Thank you so much for coming and we look forward to seeing you on Newport Living and Lifestyles.